​Manchester United have been tipped to refuse to sell star goalkeeper David de Gea this summer, even if the club remains unable to agree a new contract with the Spanish stopper when he enters the last 12 months of his current deal. De Gea is under contract at Old Trafford until the summer of 2020. Yet despite the club's intention to keep him and his desire to stay, fresh terms are still not agreed as talks drag on. No new deal this summer would put United at risk of losing De Gea as a free agent next year, a situation similar to the one that saw him come within minutes of joining Real Madrid in 2015. But, according to the Daily Mirror, the club will 'not be forced into selling' the 28-year-old at the end of this season, even if a contract agreement is not reached. After 18 months of negotiations, there is widespread speculation that De Gea's camp are insisting on a vast salary that would put him closer to Alexis Sanchez as one of the club's highest earners - arguably a not unreasonable demand given his importance - with the Chilean's base salary, before lucrative bonuses, rumoured to be at least £350,000-per-week. A compromise is necessary but it doesn't yet appear that either side is willing to give in. And that - the Mirror claims - 'could' allow De Gea to enter the final year of contract. The latest gossip comes as speculation about possible interest from the likes of Juventus, Paris Saint-Germain and former suitor Real Madrid gathers pace. The Real option looked to have finally been taken off the table last summer when Los Blancos signed Thibaut Courtois from Chelsea. But the Belgian has struggled to impress in his debut season in Spain, with the return of Zinedine Zidane as manager throwing his future into doubt. 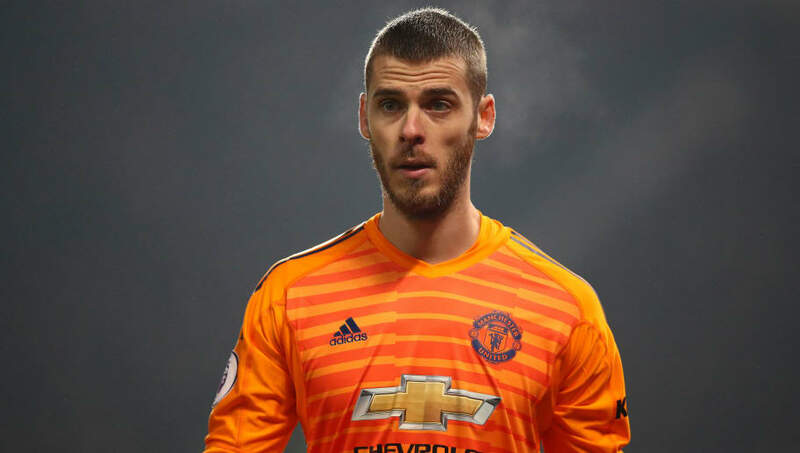 Juventus would see De Gea as an upgrade on Wojciech Szczesny, while PSG could eye an opportunity to replace 41-year-old Gianluigi Buffon, who shares duties with Alphonse Areola.